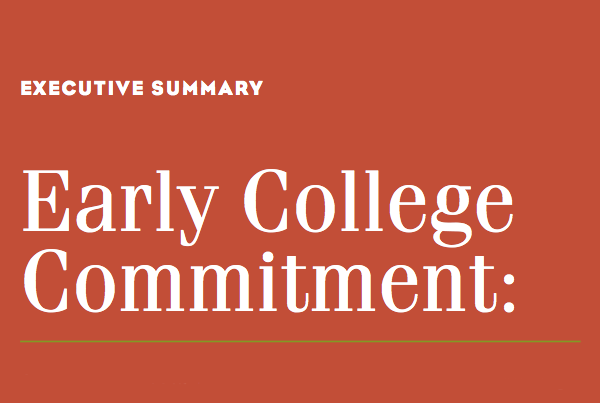 This report summarized the need for a program that seeks to improve educational attainment in California – Early College Commitment. Senate Bill 890, established the Early Commitment to College program that was signed into law in 2008. The premise of the program: the State of California will commit a place in college, support services and financial aid to eligible middle and high school students who sign a Save Me a Spot in College Pledge and take steps to prepare themselves for the opportunity.